Triple Room. Hostal Verónica Centro. 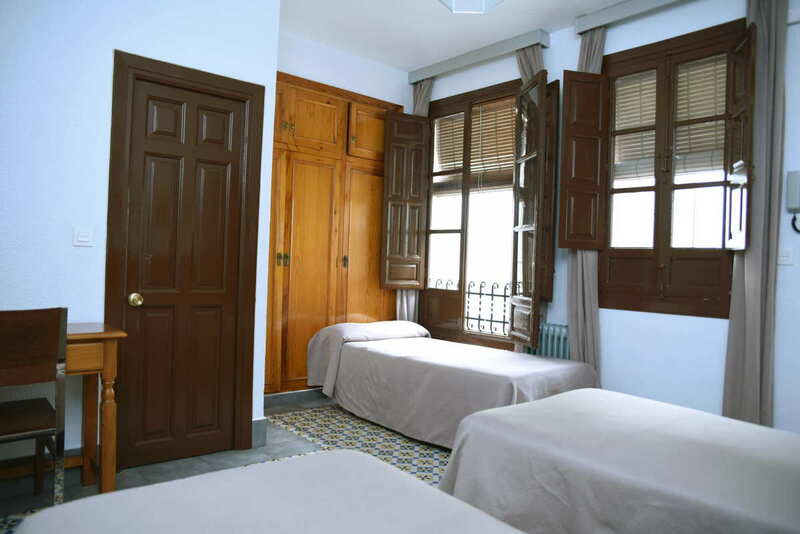 Cheap Hostel in the center of Granada. Room is heated, flat screen TV and private bathroom and balcony. Room facilities: Air-conditioned, desk, complimentary toiletries, bathroom, bathtub or shower, flat screen TV, Wake-up Service. Bedding: 3 Individual (s) . For confirmation, we request a credit card or debit card, along with the expiration date of this (this information may be sent by e-mail or by calling 958 258 145). The hostel reserves the right to check the validity of the credit card before the client arrives. Can also be confirmed by asking the hostel an account number where the customer must enter the amount of the first night. Cancellation or change of booking must be made at least 48 hours prior to arrival, in case of modification the establishment retains the right to cancel the reservation. In case of breach of the cancellation policy setting may make the payment for one night, besides the already paid deposit as collateral.